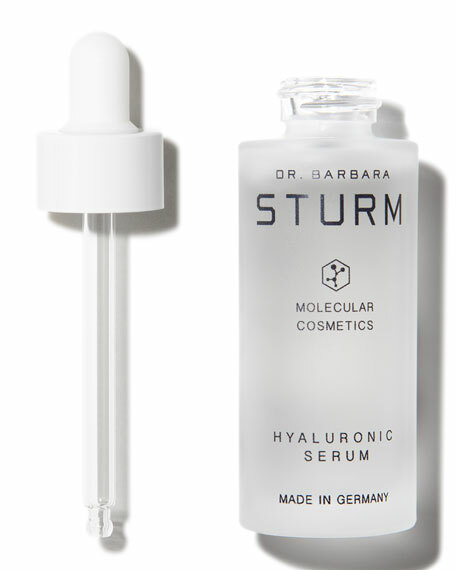 The HYALURONIC SERUM is packed full of highly concentrated long- and short-chain hyaluronic molecules that provide intensive hydration. The serum functions as a super booster against wrinkles. It has an instant effect  tangibly firmer, intensively hydrated skin that leaves you looking refreshed and radiant. The serum can be easily dispensed using the practical pipette bottle, making it perfect for daily use, as an intensive treatment, or when traveling. Whether for use before or after sun or wind exposure, spending time in heated or air-conditioned rooms, international travel, or simply as a refresher before an evening out, the hyaluronic complex is a miracle worker. The short-chain molecules are able to penetrate deeper into the skin, thus replenishing moisture reservoirs for the long term. Used regularly, the serum is a highly effective means of preventing the formation of wrinkles caused by dehydration. Long-chain hyaluronic acid provides immediate intensive hydration of the surface layers of the skin to give a refreshing immediate effect. Purslane and Skullcap are anti-inflammatory and anti-oxidative active compounds that nourish and protect your skin and boost telomerase activity in cells. 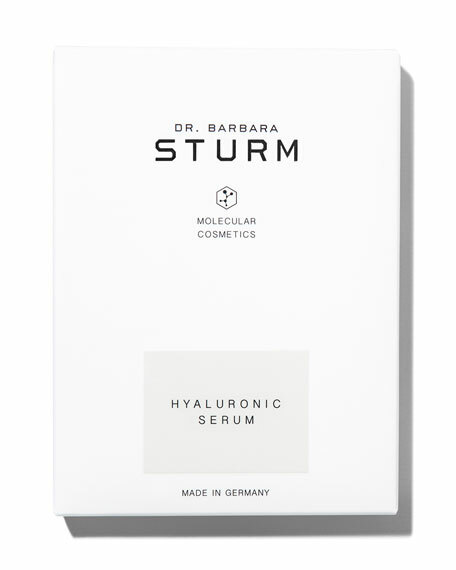 By the way: Our hyaluronic ampoules are the ideal beauty gift. Men and women of all ages will love this tangible, visible freshness boost.